Using the plethora of data that comes from the popular free game Pixelated, a look at the trends of BlackBerry Pearl users from late October showed the 9105 outselling the 9100 almost two to one. Additional data from November and the second half of October, shows no significant change in these numbers. 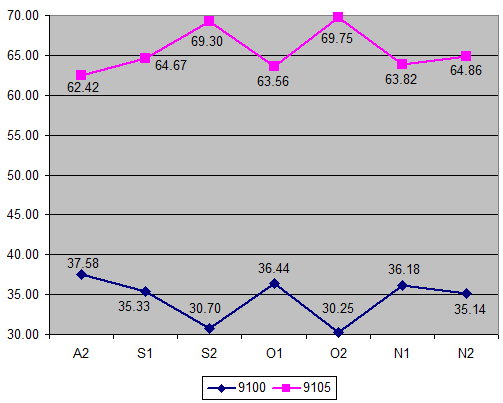 The less keyed 9105 continues to hold onto around two-thirds of the BlackBerry Pearl market. The release of the Pearl 3G on AT&T in the US appears to have had no significant impact on these numbers. Which is a result the appears to reflect more on the weakness of the Pearl form factor, more than anything else.